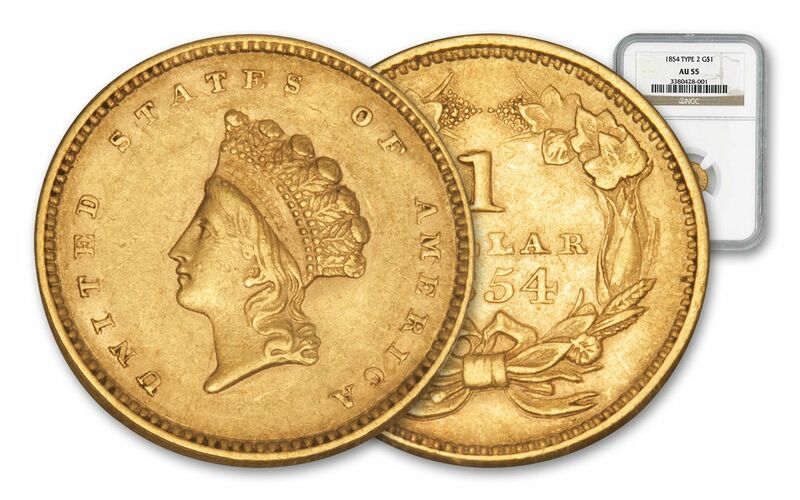 Prior to 1849 the United Sates Mint did not strike gold dollars because there wasn't enough gold available to do so. After gold was discovered in California in 1848, the precious metal began flowing into the mint in quantities sufficient for the mint to strike its first gold dollar in 1849. 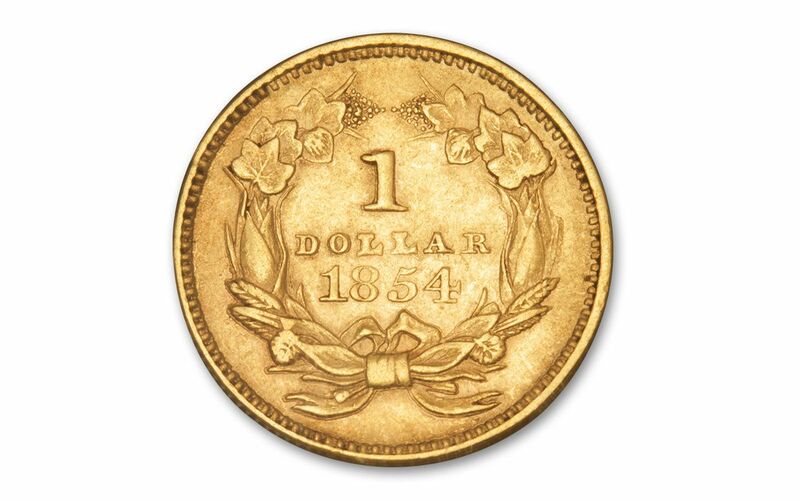 The Type I gold dollar was minted between 1849 and 1854. 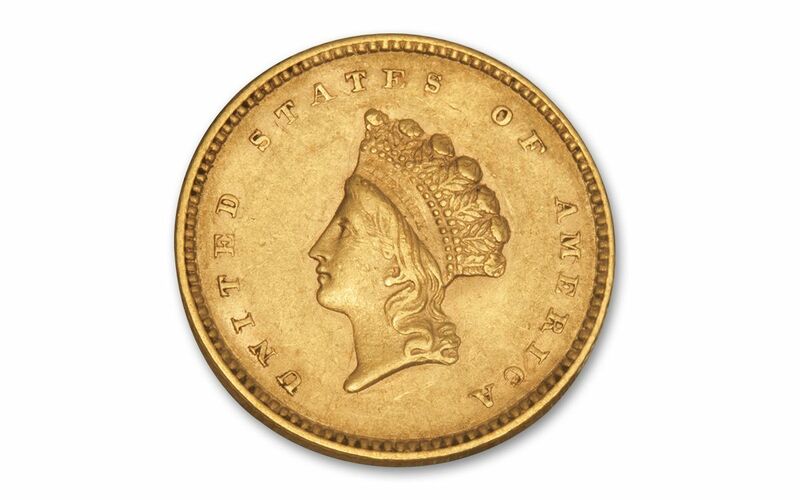 This Type II $1 Liberty Head gold dollar struck at the Philadelphia Mint dates between 1854 and 1856 and is in collector grade of About Uncirculated 55 (AU55). The attractive design features Miss Liberty on the obverse wearing a pompom headdress and a wreath enclosing the denomination of the reverse. This design was used by the mint between 1854 and 1856. 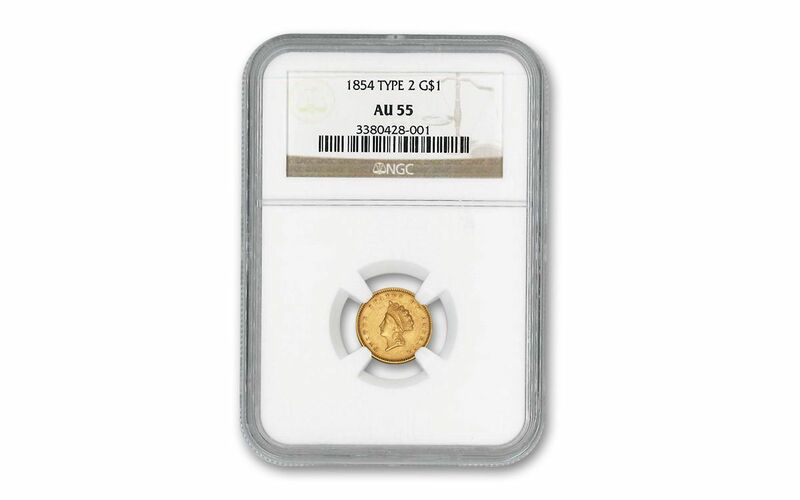 Coins Struck Between 1854 and 1856-- You will receive one of the historic coins, the date is our choice.